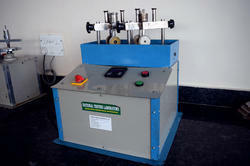 The laboratory has complete in house facility to execute various jobs related to wood & wood products. Wood is valuable raw material and its widely used in furniture, packaging& construction. To ensure the quality of wood our laboratory provides quality checks facilities. Looking for Wood & Furniture Testing Services ?